If you’ve retired overseas, but take on a full or part-time job or earn income from self-employment, the IRS allows qualifying individuals to exclude all, or part, of their incomes from U.S. income tax by using the Foreign Earned Income Exclusion (FEIE). In 2018, this amount is $103,900. This means that if you qualify, you won’t pay tax on up to $103,900 of your wages and other foreign earned income in 2018. Your customers, too, expect to receive forms documenting purchases they’ve made from you. When they pay you immediately for goods or services, you’ll give them a sales receipt, rather than invoicing them for future remittance. Not only will your customers have a record of the transaction–you will, too. 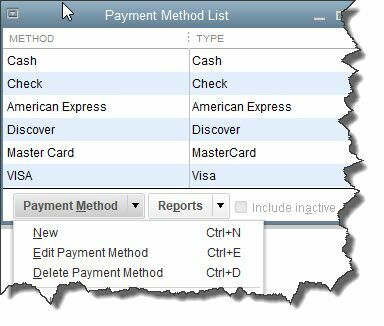 QuickBooks supports the creation and tracking of sales receipts. It manages the mechanics of this important task incredibly well and eliminates the need to enter receipt data twice, once on a paper copy for your customer and again in your accounting system. This QuickBooks feature not only minimizes errors but saves time and lessens the possibility of disputes down the road. Figure 1: When a customer pays you immediately for goods or services, you need to open and complete the Enter Sales Receipts window. If you’ve already entered your customer and item/service records in QuickBooks, you can record your sale very quickly here. Even if you haven’t, or if you need to create a new record on the fly, you can select when you open the drop-down option lists for the Customer:Joband Item fields. Warning: Do you need to track inventory levels for products you sell? Have you created accurate records for these items? There is information that QuickBooks needs to help ensure that you don’t run out of stock or keep too much on hand. Let a QuickBooks professional walk you through the software’s inventory-management tools so you can take advantage of all the benefits it offers. Once you’ve selected the appropriate customer, Class (if you use this feature), and Template(Here again, do you understand that you can either use the default sales receipt form provided by QuickBooks or customize it? We can help here), make sure that the Date and Sale No. are correct. Figure 2: Click the down arrow in the Payment Method field near the bottom of this window to see your modification options. Once you have chosen the desired Payment Method (and entered a check number if necessary), complete the rest of the sales receipt much like you would an invoice, by selecting the correct products or services, the quantity you are selling, and the transaction’s tax status. QuickBooks will fill in the rest if you ‘ve created complete item records. When you are done save the sales receipt. Information about the transaction will be available in standard places like the Customer Information screens and various reports. Whether your revenue is generated instantly (i.e., documented by a sales receipt) or as longer-term payment on an invoice, your company’s income is just one element of the cash flow equation. Are you able to create and interpret the reports that can help you understand these complex calculations, like Cash Flow Forecast and Profit & Loss? You probably run some of QuickBooks’ more basic sales reports regularly, but consider bringing in a QuickBooks expert to do the deep analysis needed to make better business decisions.